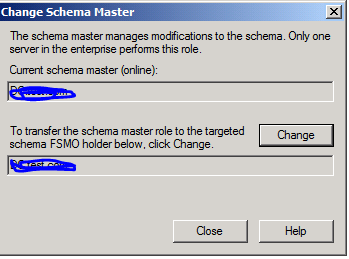 Remember: If you need to change \move the FSMO role you need to do it from the server you are moving it to and not from the server that currently holding the role. 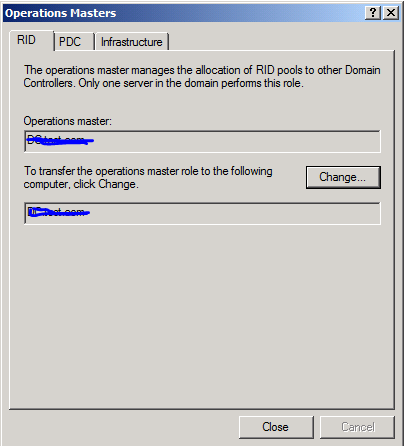 This step will show you the RID, PDC and Infrastructure Roles. 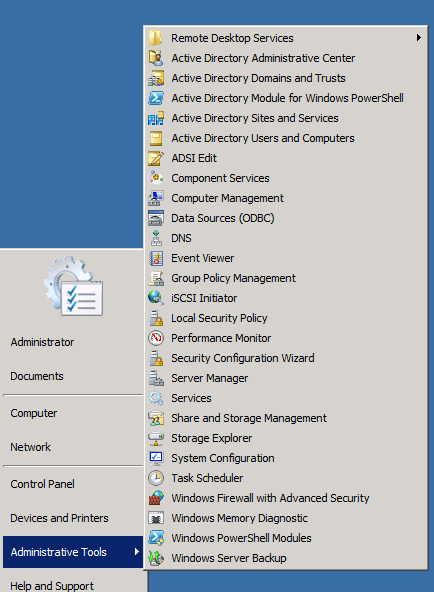 This tool will show only 3 Roles out of 5. 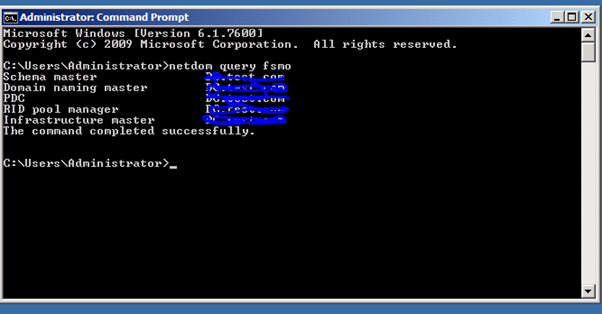 To change the server that holds the role, click change and follow the prompts. 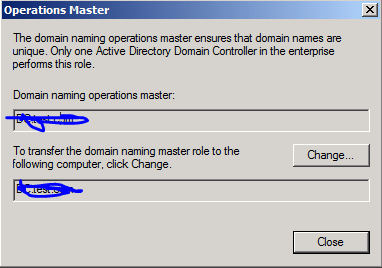 To view or change the Domain Naming Master Role open Active Directory Domain And Trust from the administrative tools. 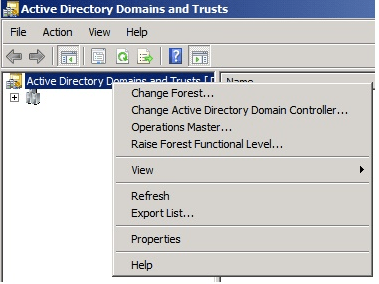 Right Click on the Active Directory Domains And Trust and Click on Operations Master. 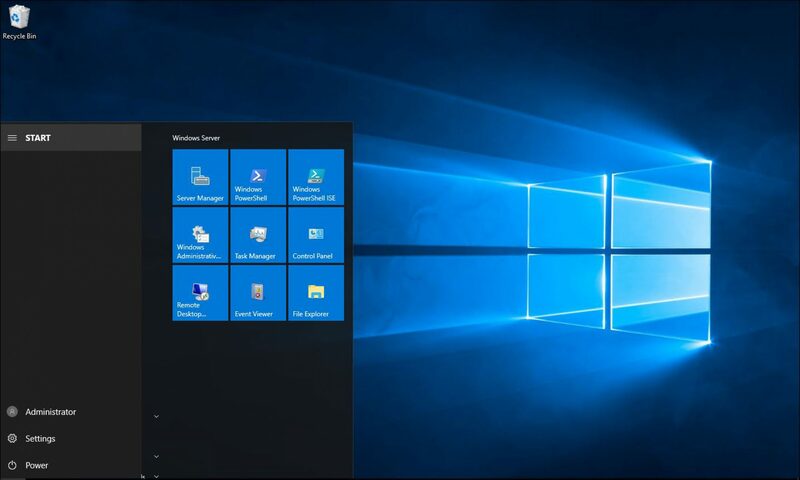 This will show you the server that holds the Role. 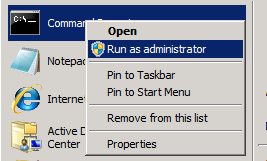 To change the server that holds the Role Click on Change. 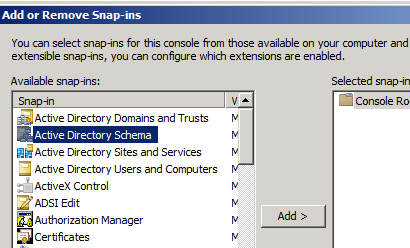 The last Role is Schema Master Role, To view the Role location or change it, we need to register the Active Directory Schema first. 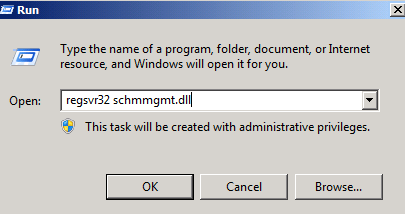 Once OK, Open the Active Directory Schema using the mmc.exe tool. 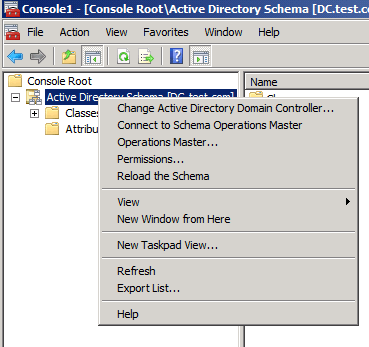 Right Click on Active Directory Scheme and Click on Operation Master. 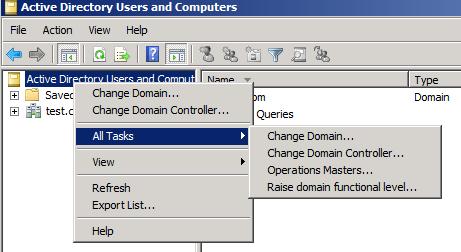 To change the Role location Click on Change.